UXER School offers a full-time, 8-week UX design immersive course in Madrid, Barcelona, and Valencia, Spain. 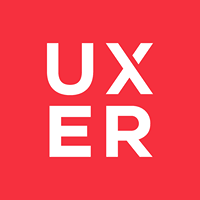 The goal of UXER School is to have students experience each step of the design and user experience process including research, rapid prototyping, strategic and interaction design, interface design, and user testing. Students will work on team projects to put into practice their learnings and receive feedback from design industry professional mentors who will guide them throughout the course. UXER School students usually have previous experience in digital projects as many are Graphic Designers, Art Directors, Web Designers, Front End Developers, Product Managers, and Digital Marketing professionals. It is not necessary to have a technical experience in design, but prospective students should have the motivation and desire to learn. To apply, fill out a short online form to express your interest. Students at UXER School will acquire the necessary skills to design products and services of value. The program concludes with Demo Day where students present their portfolio projects to the community and potential employers. This 4 week part-time course is catered to professionals with experience working on digital projects. Students will be taught the fundamentals of User Centered Design and learn to validate ideas by going through the design process starting with Design Research, Qualitative & Quantitative analysis, Ethnography, Rapid Prototyping, value proposition and ending with User Testing & Iteration. DESIGN RESEARCH COURSE is a program of specialization in research with users, designed to give students an in-depth vision in this discipline. By the end of the course, students will be ready to start a new career as UX Researcher, Freelance or turbo charge their current professional trajectory. This one week full-time course is catered to professionals with experience working on digital projects, entrepreneurs, UX / UI Designers, Service Designs or for complete business teams. DESIGN SPRINT SERIES is a specialization program in Google's Design Sprint methodology, designed to give students the ability to work with complex and unfamiliar projects easily. In just five days, we work on the complete process, understand, diverge, decide, prototype and test with real users with the intention of validating our ideas quickly. Thanks to this course, we will apply the Design Sprint methodology in different sectors, such as Banking, Retail, Telecommunications, Travel, Health, Environment ... etc The objective is to expand our technical knowledge as UX and Service Designers. This 12 week part-time course is catered to professionals with experience working on digital projects, UX Designers, Digital managers or Entrepreneurs. Companies have the need to offer value services to their customers constantly. Currently the market is moving very fast, companies work in a global context but offering their services locally. The service design professional is dedicated to mapping the complete experience that exists between companies and their clients, being able to detect opportunities for improvement and coordinate different areas within the company to improve their services continuously. SERVICE DESIGN EXECUTIVE is a program of specialization in research with users, designed to give students an in-depth vision in this discipline. Students will learn an effective work process, based on user research, ideation, mapping, prototyping and testing, as well as the implementation of the service in any business sector. We will also work with the "soft skills" necessary to complete a professional profile capable of working in highly complex environments. For example, communication, visual thinking, facilitation of workshops, leadership, management of uncertainty and improvisation. By the end of the course, students will be ready to start a new career as Service Designer, Freelance or turbo charge their current professional trajectory. This 8 week part-time course is catered to professionals with experience working on digital projects. Students will be taught the fundamentals of User Centered Design and learn to validate ideas by going through the design process starting with Design Research, Rapid Prototyping, Lean UX, Business Design, Architecture Information, Wireframing, UI Design and ending with User Testing & Iteration. UX IMMERSIVE is a highly intensive experience, the learning-by-doing methodology is taken to the next level, students work as a team to launch a project from scratch in a situation of high uncertainty. By the end of the course, students will be ready to start a new career as full-stack UX/UI Designer, Freelance or turbo charge their current professional trajectory. This 9 week full-time course is catered to professionals with experience working on digital projects. Students will be taught the fundamentals of User Centered Design and learn to validate ideas by going through the design process starting with Design Research, Rapid Prototyping, Lean UX, Business Design, Architecture Information, Wireframing, UI Design and ending with User Testing & Iteration. UX / UI BOOTCAMP is a highly intensive experience, the learning-by-doing methodology is taken to the next level, students work as a team to launch a project from scratch in a situation of high uncertainty. In the last week our students will be tested in a true DESIGN SPRINT. DESIGN SPRINT SERIES is a specialization program in Google's Design Sprint methodology, designed to give students the ability to work with complex and unfamiliar projects easily. In just five days, we work on the complete process, understand, diverge, decide, prototype and test with real users with the intention of validating our ideas quickly. Finally, our students will participate in the Hiring Week, where they can prepare their portfolio, expand their contacts and know companies where they could work. By the end of the course, students will be ready to start a new career as full-stack UX/UI Designer, Freelance or turbo charge their current professional trajectory. This 8 week part-time course is catered to professionals with experience working on User Experience Design. Students will be taught the fundamentals of Virtual Reality & Augmented Reality and learn to design for these new environments by going through the design process starting with User Research, Rapid Prototyping and ending with User Testing & Iteration. VR DESIGN IMMERSIVE is a highly intensive experience, the learning-by-doing methodology is taken to the next level, students work as a team to launch a project, let's prepare a portfolio in design applied to virtual reality environments. By the end of the course, students will be ready to start a new career as VR Designer, Freelance or turbo charge their current professional trajectory. Cuando decidí formarme en Experiencia de Usuario no me resultó fácil dar con un curso que colmara todas mis expectativas: buen profesorado, modalidad de enseñanza, fechas, precio, ubicación... Navegué, pregunté...y también tiré un poco de intuición, y la verdad es que aterrizar en Uxer School fue todo un acierto. Aprendes desde el primer minuto -la inmersión es radical- y los mentores tienen la virtud de hacerte sentir uno más de la familia Uxer, provengas o no del mundo del diseño. Para mí, que ya era un 'converso' antes de empezar, el curso me dejó con ganas de más. El Immersive te ofrece una visión global de la disciplina, pero te permite practicar cada una de las fases del proceso, que es lo que uno espera cuando se embarca en un curso de estas características, de corto recorrido pero intenso.. En este sentido, creo que es importante saber que a parte de las 8 horas semanales de clase, al menos hay que echarle otras 6-8 más en casa para sacarle el máximo provecho. Como siempre, todo depende de lo que le rindan a cada uno las horas y del reparto de tareas entre los compañeros de grupo a la hora del abordar el proyecto del curso. Mención aparte merecen los mentores/profesores del curso. Para gustos, los colores, pero la verdad es que el nivel medio es realmente bueno. Conocen el mundo de la UX al dedillo y sientes que estás ante profesionales de primer nivel. Todas las sesiones fueron amenas y muy dinámicas, con la única excepción quizá de la sesión dedicada a los principios de diseño visual. Ahí quizá se podría aligerar un poquito el bloque teórico. Otro aspecto a mejorar sería, a mi entender, los días de las sesiones. Enlazar 4 horas un viernes por la tarde con 4 horas más el sábado por la mañana resulta algo duro. Entiendo que es para facilitar el acceso al curso a aquellas personas cuyo horario laboral no les ofrece otra alternativa, pero desde mi punto de vista repartir las horas en tres sesiones -por ejemplo, lunes, miércoles y viernes o martes, jueves y sábado- lo haría más digerible y ayudaría a consolidar el aprendizaje. Ah, y para terminar, un 10 por la idea de la Demo-Day+Hiring Session. Fue fantástico poder 'presentarse' ante empresas del sector y poder departir algunos de sus profesionales. Este año realicé el curso de "Design Research" en UXER School y hacerlo fue una gran elección. Me resultaba crucial complementar mi formación UX en este momento y el curso cumplió con mis expectactivas. El programa era amplio, aunque fue impartido de manera ágil, de modo que se puede combinar bien si cuando lo realizas te encuentras trabajando. Un curso completo en cuanto a teoría y práctica Recomendable para hacer una introducción en el mundo el UX Research y también para poder enfocarse en aspectos más concretos como las entrevistas y el test de usuario en laboratorio. I participated in the last Virtual Reality Design Immersive course and I couldn't be happier with my decision. In this course, teachers teach you all the tools you need to start working in VR projects, starting with the conceptualization and all the research process, applying specific UX methodologies for VR projects and teaching you the first steps in Unity to build your own prototypes. An intense course with very interesting contents and passionate and very professional teachers. Este curso ofrece una visión completa del proceso de creación de experiencias en realidad virtual, con clases impartidas con grandes profesionales del sector. Aparte de los conocimientos teóricos, aportan su experiencia real en todas las facetas: desde el research previo a la analítica, pasando por la narrativa, el diseño de interfaz e interacción...y prototipado, por supuesto. 100% recomendable para una "inmersión" total en este campo! Curso genial para todos aquellos que quieran introducirse en el mundo del UX Research. El temario está muy bien elegido y estructurado por tal de aprender las diferentes areas de research en un proyecto digital, desde una fase más embrionaria hasta el testeo. Desde técnicas más cualitativas hasta las más cuantitativas. Ha sido una pena no tener más tiempo porque seguro que practicando más al lado de los excelentes profesores que hemos tenido, nos hubiésemos empapado más y nos hubiésemos sentido más seguros a la hora de aplicar todo lo aprendido fuera de clase. Aún y así, se agradece mucho la brevedad y la poca carga de trabajo semanal fuera de clase porque lo hace más compatible con el trabajo. Hice el curso de Design Research y fue fantástico, me dio pena que no pudiese durar más, pocas veces he visto aprovechar mejor el tiempo. Todos los profesores son grandes profesionales que llevan muchos años en el sector de los que se puede aprender muchísimo. La organización es genial, todos muy amables y atentos de que tuviésemos todo lo que necesitábamos para estar cómodos, siempre dispuestos a ayudarte en todo lo que te haga falta. Nos llevamos un montón de habilidades nuevas en la mochila y sobre todo el contenido era 100% útil para aplicar en nuestro día a día como diseñadores, lo recomendaría sin pensarlo. Pero lo cierto es que sin darte cuenta, las 8 semanas ya han pasado, te has acostumbrado a estar los viernes y sábados rodeados de compañeros con tus mismas inquietudes y escuchando a gente muy TOP que te ayudan a ver todo de otra manera, y además, te sorprendes de las ganas con las que están allí, siendo viernes tarde o sábado por la mañana! User Experience Immersive ha superado con creces mis expectativas. Tiene una metodología impecable, en un tiempo récord logran que aprendas todas las fases de Design Thinking, combinan la teoría y la práctica y vas volcando todo lo aprendido en un proyecto que crece al mismo ritmo que avanza el curso. Además, se preocupan mucho de dar visibilidad a los alumnos y a nuestros proyectos, y te dan la oportunidad de que las empresas conozcan tú trabajo. Yo estoy muy agradecida a todos los profesores porque se involucran muchísimo y son grandes profesionales. Llevaba tiempo queriendo asistir al UX Immersive en Madrid o Barcelona por sus buenas referencias, pero entonces UXER School abrió una primera edición del curso en Valencia, y me lancé. Como todas las experiencias piloto, ha tenido eso tan especial que todas las primeras veces tienen. La organización ha sido sobresaliente y los mentores han sido reconocidos profesionales del sector. El nivel de las mentorías ha sido realmente bueno, y los mentores han estado siempre atentos a nuestras dudas y han potenciado nuestras ganas de aprender. Trabajo como diseñador visual y me apunté al curso de User Experience Immersive para aprender, comprender y poner en orden cómo es el proceso completo de la experiencia de usuario, incluyendo todas esas fases previas al diseño. El curso es exactamente eso, un viaje a través del proceso completo del diseño de producto para profesionales que quieran abrir el foco, y un buen primer paso para aquellas personas que quieran iniciarse en el sector. Hemos trabajado en un proyecto que nos ha llevado 8 semanas y hemos conseguido unos resultados excelentes en tiempo récord, hemos aprendido distintas metodologías y ahora formamos parte de una enorme comunidad de profesionales del UX. En definitiva, el User Experience Immersive es una experiencia más que recomendable. El curso USER EXPERIENCE IMMERSIVE acaba de terminar y todo lo que puedo decir es que ha sido una experiencia brutal. Es increíble todo lo que he aprendido en 8 semanas, rodeada de excelentes profesionales y profesores. Recomiendo este curso a todo aquél que quiera adentrarse en el mundo UX o dar una salto a esta profesión: se trata de un curso muy práctico, nada de papel y boli, solo muchas ganas, una buena pizca de ilusión y... ¡a por ello! Alrededor del curso se mueve también una gran comunidad con la que compartir ideas y disfrutar a tope del mundo UX. Mi experiencia en UXER School no ha podido ser más satisfactoria. Aprendiendo y prácticando desdes el primer día, con un equipo profesionales a la altura de un curso con mucho valor y que recomiendo sin dudara todos aquellos que quieran formarse en UX. Una muy buena experiencia. Un resultado muy práctico con un resultado increíble. Buenos profesores siempre pendientes de cualquier detalle. Buenos compañeros con muchas ganas que hacen todo más fácil. Descubrir cosas nuevas que enganchan. Repetiría con UXER SCHOOL sin dudarlo y intentare hacerlo. He tenido la fortuna de realizar el immersive y la experiencia ha sido espectacular: todos los mentores y la gente de la escuela son geniales. Acabo de terminar el curso de User Experience Immersive y ha sido genial, he aprendido un montón, tanto de mentores como de los compañeros, son todos muy buenos y apasionados de la profesión. Hemos compartido conocimientos y experiencias personales que nos harán crecer. El curso ha superado mis expectativas, creo que he acertado al apuntarme. Empecé el curso de UX Immersive teniendo nociones "desordenadas" de UX. Este curso me ha servido para poner orden en todo el proceso creativo desde la conceptualización, técnicas de creatividad, test de usuario, prototipado y creación de mockups. A lo largo del curso y mientras íbamos abordando cada una de las fases de Design Thinking lo poníamos en práctica aplicándolo al proyecto final de curso, enfrentándonos de esta manera a posibles dudas o errores en los que nos encontraremos en nuestro día a día laboral. Quiero destacar la elevada parte práctica de este curso y lo recomiendo al 100%. La experiencia de usuario es inmejorable; el trato de los profesores, la profesionalidad de los contenidos impartidos, la metodología utilizada. ¡Super recomendable! I did Design Research Course and was a great experience. All teachers were very professional, updated and working in research sector, providing good information and tips about how to research better, using IT tools and analyzing data. As an art director, the course complemented and guided me to direct my career towards UX design. ¿Por qué decidí cursar UX Immersive Madrid con UXER School? Fácil, después de comparar muchas otras me gustó su programa, sus mentores y la conexión desde la primera llamada. En mi caso, Javier me supo responder todas mis dudas y vi claro que mi complemento para mi carrera en Marketing y Diseño era el UX. Gracias Javier desde aquí. ¿Qué me encontré una vez empecé el máster? Buenos compañeros, buen rollo, profesores que enseñan según su experiencia: un lujo. Aprovechar muy bien el tiempo, son pocas semanas y muy intensas, preguntar a los mentores, son grandes profesionales y están siempre dispuestos a resolver dudar, contar su experiencia y ayudar; lo mejor sin duda. El curso USER EXPERIENCE IMMERSIVE pasa por todas las áreas de un proceso de UX enfocado a productos digitales, desde investigación, ideación, diseño, prototipado, testing... dando una visión global del conjunto. Los profesores son muy buenos y el precio lo considero ajustado. Lo recomiendo para aquellos que quieran empezar en esto del UX, reciclarse o ponerse al día. Tras este curso uno debería elegir qué área del UX le interesa más para profundizar en ella, y el curso le dará elementos de juicio suficientes para tomar esa decisión. My experience in the Design Research Course by UXER School in Madrid was much better than expected. It has been a great experience that helped me learn the different research processes and techniques, the phases of ideation & prototyping using co-creation and participatory design tools. I also learned how to analyze and test the user perception and mental models, web analytics and user sessions. Today, and from the same day that I was taught, I am applying a lot of what I learned to my online store... getting the first results of improvement in a short time. There was always a welcoming and amazing atmosphere with teachers aswell as with students. The whole UXER team was always very close and helpful with us. Great professionals with a high level of commitment! Without commenting on those little details that after a long day of work made us students smile... those little canapes when we arrived at class, they killed the hunger of more than one of us hehe. I had an overall great and truly immersive experience with UXER School. I learned UX theory, latest trends and how to care about the user experience while working in a project where we met all the challenges that come up in product design. The holistic approach of the course makes sure that you are covered in UX design, Product design, UX research... as well as the technical sides of all of these subjects. It also grants you the resources to keep learning and working once you are on your own. Great and caring teachers. Chocolate biscuits provided. He cursado con UXER School el máster de User Experience Immersive y lo recomiendo abiertamente. Además de darte el apoyo y seguimiento durante todas semanas, los mentores apoyan sus explicaciones en casos prácticos que te ayudan a asentar conceptos para aplicarlos al proyecto final. Recomiendo el curso para afianzar conceptos y fijar bases para seguir desarrolándose como profesional UX/UI. Soy diseñador visual, y me apunté al curso de UX Immersive con la intención de descubrir e interiorizar todo el proceso previo al diseño para poder defender mejor mis proyectos y no diseñar a ciegas. UXER School ha cumplido con todas mis espectativas y las ha superado. El formato de las clases me ha parecido perfecto, y he podido compaginar perfectamente el curso con mi trabajo, cosa que con otros cursos que busqué no encontré. Ha sido una experiencia muy enriquecedora en la que he conocido gente nueva, me he enfrentado a miedos que tenía, donde he aprendido un montón, y donde he trabajado en equipo junto con mis compañeros y mentores. El nivel de los mentores es brutal. Sus clases son muy interesantes. Son muy atentos, te resuelven cualquier duda y te ayudan en cualquier problema que tengas. Han conseguido mantener mi curiosidad y mis ganas de aprender durante los dos meses de curso y eso es algo que valoro un montón. El seguimiento que te hacen, la infraestructura y la atención para mi son de diez. Al finalizar cada clase puedes descargarte las presentaciones de ese día para poder repasarlas, cosa que se agradece muchísimo. Está todo muy bien organizado. Last month I finished the UX Immersive and it's 100% recommended for everyone interested on user experience and usability. Uxer teachers tutors are very qualified and you alway will learn something new. The courses are very dynamic and the info is very useful to apply in work. I would repeat again!! It was the only UX School in Barcelona doing in person classes you could attend if working full time: friday afternoon and saturday morning. In a very short period of time we covered the main UX related areas. That is great because you can see so much but in some areas I think we didn't have time to cover everything we wanted. Some classes need to be two instead of one! Teachers were top class professionals and there was a high level of commitment, from teachers and students alike. After the bootcamp was finished we still see each other and Javi Larrea, one of the brains behind all this, makes great efforts to keep in touch, sending interesting information, UX related meetings and job opportunities. It's great to see that the relationship with your colleagues and staff does not end with the bootcamp! An email with these details has been sent to UXER School. You've already applied to this scholarship with UXER School.